Preheat griddle or pan. In blender, combine milk and wheat kernels and blend on high for 3-5 minutes. Add in other ingredients and blend for another minute or two, this time on low. 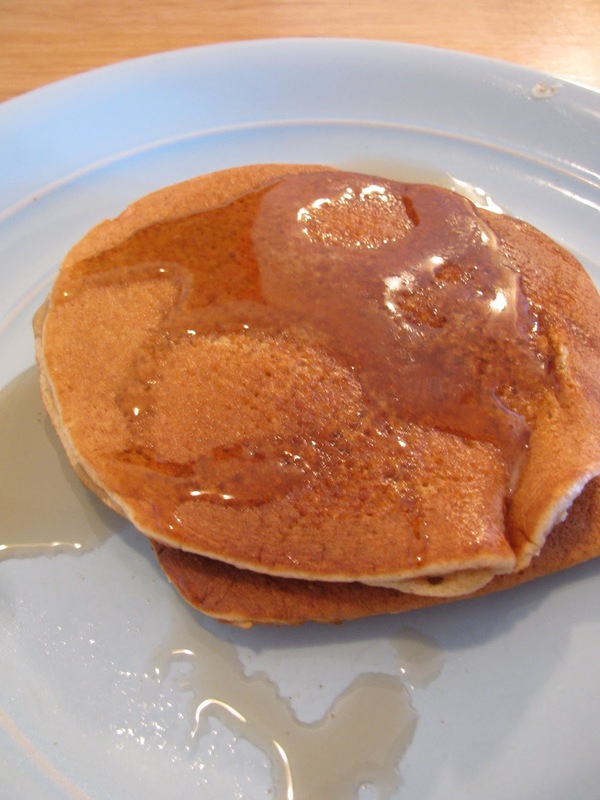 Pour onto griddle and cook (you want to flip your pancakes when the bubbles get big and the first few start to pop). The end! 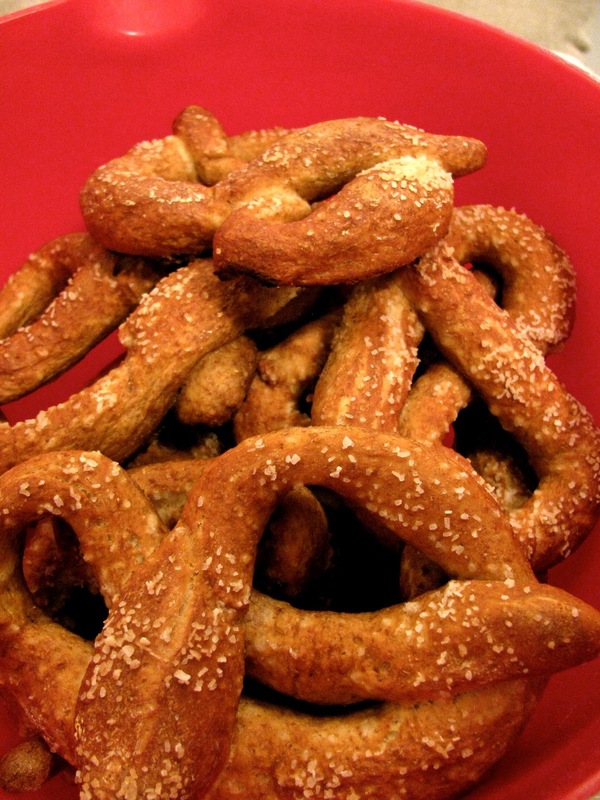 These are delicious and have a great texture—and they're healthy too! Too late for Thanksgiving but in time for Christmas, I present you a recipe (sort of) for the best mashed potatoes EVER. These are the kinds that will have you sneaking helpings from the bowl and licking your plate when you're done. My only problem in sharing this recipe is that this is one of those dishes that I don't really USE a recipe for—it's all done "a little of this, a little of that." So I guess you could say it's more of a "method." Either way, it's easy, and you'll never be able to go back to plain-with-butter potatoes again! Peel, chop and boil potatoes until soft. Add butter, sour cream, cream cheese, and milk (I usually start with about 2 T of the first three ingredients, and 1 T of milk). 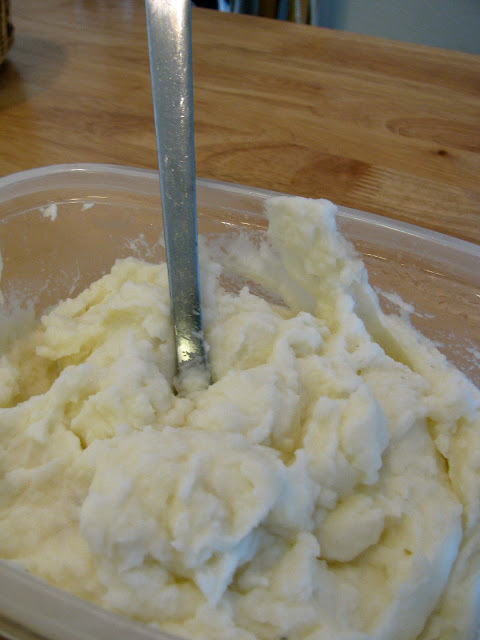 Using hand beater, whip potatoes until smooth. Add salt and pepper to taste. If needed, add more sour cream/butter/cream cheese—I think I always have a little more sour cream than anything else, and a little less milk (you don't want potato soup!). Enjoy!